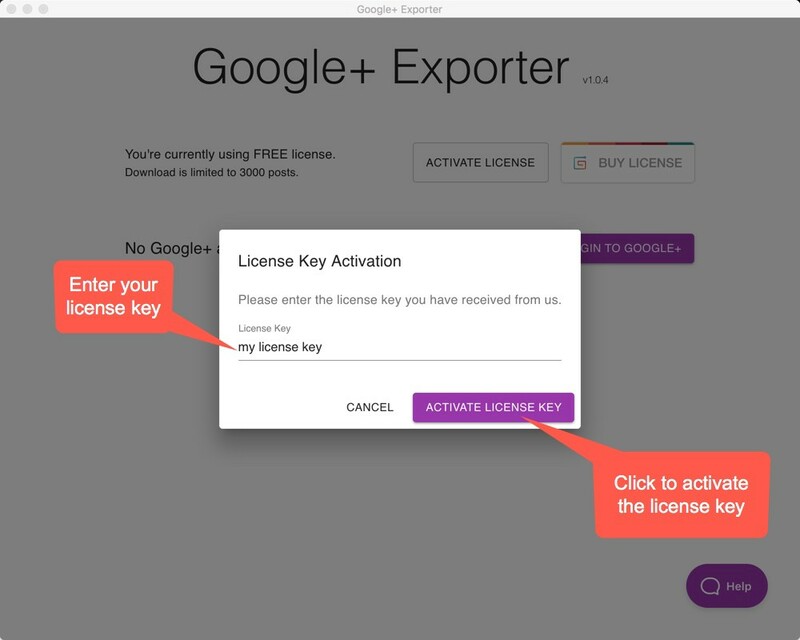 How to activate a license key? 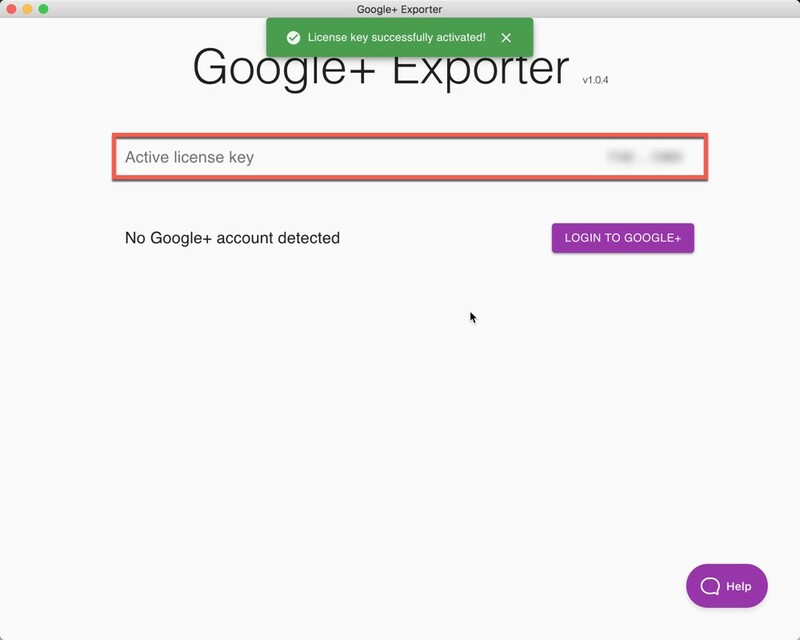 Start the application and click the ACTIVATE LICENSE button will open a dialog where you can enter the license key. 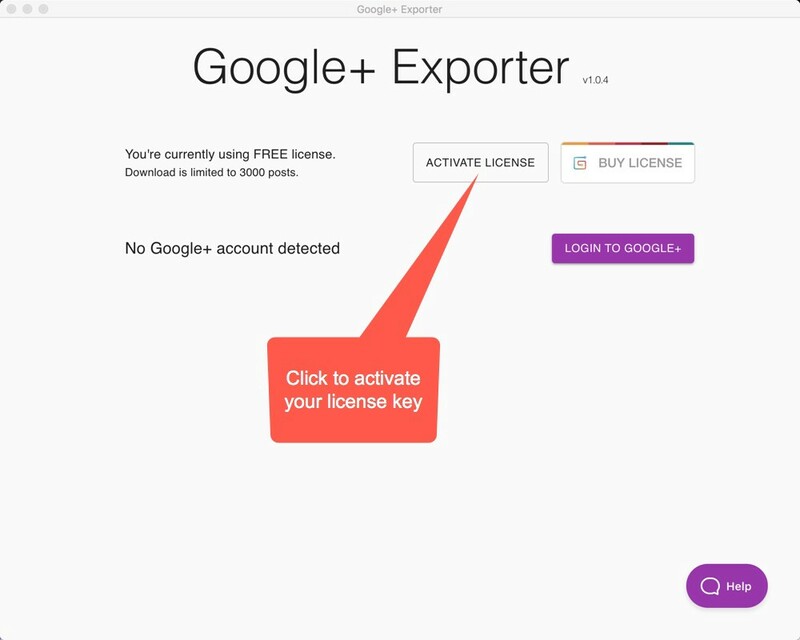 Enter your license key and click the ACTIVATE LICENSE KEY button. That’s it! Now you’ll be able to download ALL your Google+ posts and export them later.